Seedpots have the advantage of a larger print area and very little plastic packaging. 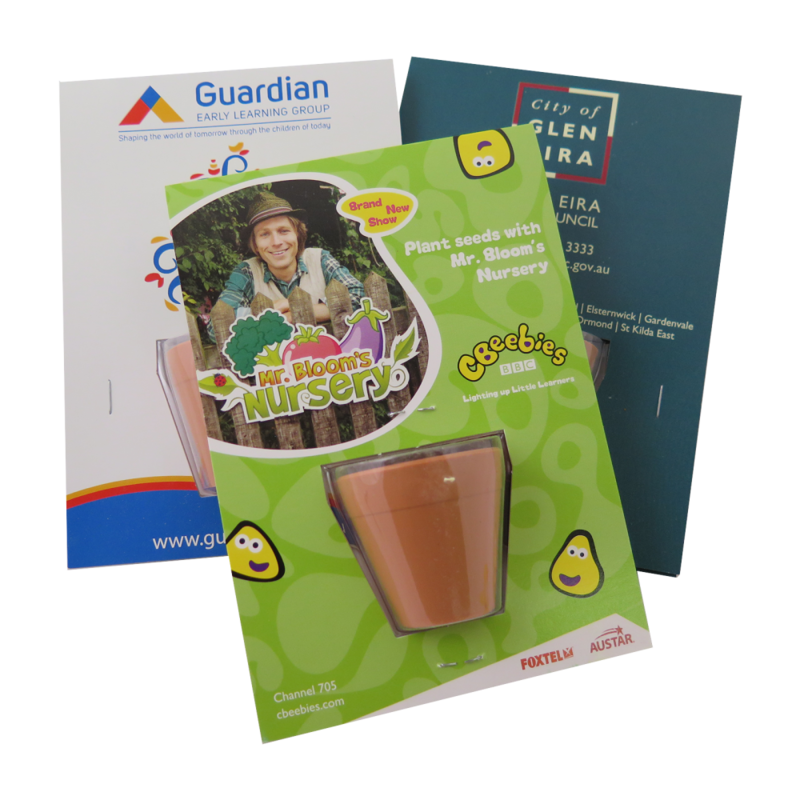 Each order has the option of full colour print to the outer and inner packaging and choice of seed variety from our website. Growing instructions, common name, botanical name and expected germination time of seeds appear on all our products. All our printing uses soy and vegetable based inks on 100% recycled board with a gloss or matte finish. Pack size when assembled is 150mm x 105mm. Minimum order quantity is 250 units. Please note there are many options for pad printing on the minipot so please talk to us about your requirements.